The solid-state drive (SSD) has swiftly become the go-to upgrade to breathe new life into an ageing computer, and for good reason too. A SSD swiftly brings an old laptop or desktop up to date with modern machines in just a single step. The price of solid-state memory has fallen dramatically in recent years. As costs have dropped, the popularity of the technology has increased exponentially. At one time a SSD was a rare treat for serious PC enthusiasts. Now it’s cheaper and more readily available than ever. No other single solution is as cost-effective, quick to swap, and impressively effective as swapping out an old hard drive in favor of the faster and more modern SSD. The technology looked and worked much like a miniature record player. Like a record player, widely in use at the time that hard drives were developed, the hard drive had some serious drawbacks. The primary reason to switch to a SSD, on top of their impressive durability, is the incredible increase in speed. Because the SSD has no moving parts at all, working more like a digital camera memory card than a vinyl record player. 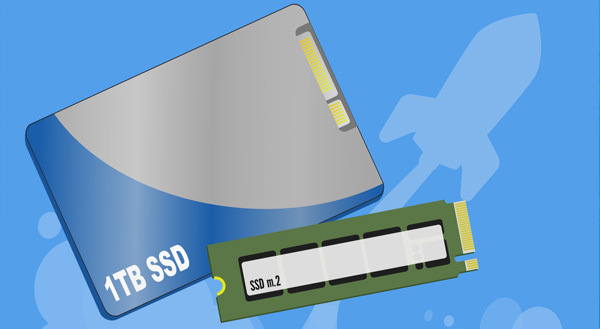 A SSD simply makes the process of retrieving and saving data to storage many times faster. Eliminating the mechanical component, removing the need to move a physical disk, and not needing to physically pick up the data means a much faster and smoother operation. Computer startup, where the operating system loads all its data from storage, can take as little as one-quarter of the time of a comparable HDD. Additionally, loading regular applications and data from an SSD takes a fraction of time of a HDD. A SSD completely breathes new life into an old machine and computers with a SSD replacement for the hard drive feels like using an entirely new machine for a fraction of the cost. Replacing the main mechanical component also eliminates wear and tear working to break down your machine. While a HDD slows over time, degrades, and can eventually suffer mechanical failure; a SSD remains as durable as the day it was purchased. In a laptop setting, the SSD makes even more sense. They require less power than older hard drives, making the most of your battery charge. Furthermore, not needing a large disk platter, mechanical parts, or protective outer case means they are about half the weight of a mechanical drive. Making an old machine lightweight certainly brings it another step closer to a modern machine. They run almost silently too. The familiar click-clack of the hard drive is a thing of the past. 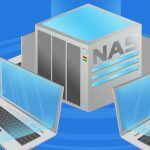 Many users comment on the noise their laptop used to make starting up and loading programs. Noisy laptops are a tech throwback we’re so happy to leave behind. For many who feel like their old system is showing its age, the prohibitive cost of purchasing a whole new machine keeps them invested in their old one. A simple, fast SSD upgrade can make your old machine new again at a much smaller price. If swapping long startups, and slow load times sounds right for you, consider upgrading to a SSD. You won’t look back. Give us a call at (352) 688-8011, so we can give your machine a new lease on life.